Saturday September 5th 8.00 pm. Doors open 7.30 pm. £10 in advance, £12 on the door. Chris is a multi-instrumentalist and singer-songwriter based in Oxfordshire UK, primarily known for the past seventeen years for his work with Fairport Convention. He has played and recorded with, amongst others: Steve Ashley, the Albion Band, Jez Lowe, Ian Anderson, Chris While and Julie Matthews, Whippersnapper, Alan Stivell, Feast of Fiddles and St. Agnes Fountain. Chris has provided music for a number of Radio Four plays and classic serials. 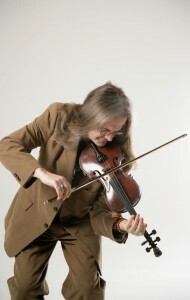 His fiddle playing has also been heard on the TV series Heartbeat, Midsommer Murders and Billy Connolly’s World Tour of Scotland. Chris plays: fiddle, mandolin, tenor guitar, bouzouki, ukulele, banjo, oud, whistle and Native American flute. He has just released his fourth solo CD Origins. Mark is doing something fresh and different, tapping into the timeless quality of the early blues to produce music totally relevant to the present day. His highly distinctive songs cover a wide range of non-standard topics. They all have something to say or a story to tell. They’ll make you move, make you think, make you smile. He is a thrilling, rhythmic finger-picker and slide player, with a very distinctive style and sound. He plays a 1934 National resonator guitar and a 12-string guitar as well as singing. 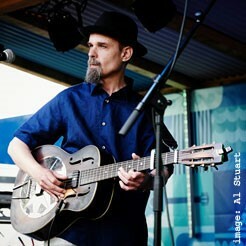 He has been described as ‘one of the UK’s foremost acoustic blues performers’.